Comfort and convenience are the hallmarks of our office operations. To ensure your convenience, below is the information you need about our hours, location, appointment scheduling, insurance acceptance and billing. Click HERE for simple Map to Shady Grove Dermatology, or use Google map and instructions below. The new office for Drs. 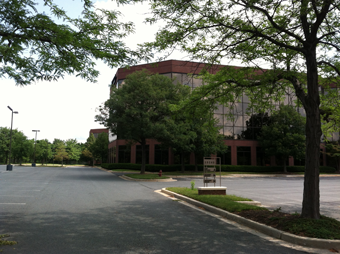 Yeager, Berk and Keahey is conveniently located at 15245 Shady Grove Rd. Our building is on the south side of Shady Grove Rd. between I-270 and Corporate Blvd. Our parking lot is free, and can be entered only from Corporate Blvd., not Shady Grove Rd. Please walk into the building using the SOUTH lobby doors. Our office is #370, on the third floor at the elevator lobby directly across from the Children’s Hospital Outpatient Center. and between 8:00am and 12:00 noon on Saturdays. We accept checks, cash or credit cards (MasterCard, Visa and Discover).